Former refugees from Colombia have treated their local community to a day of dancing, colour, and celebration. Traditional dance performances kept crowds entertained throughout the day. More than 900 people from the Nelson community turned out to celebrate everything Colombian over the weekend. The event was organised by former refugees who now call Nelson home with help from New Zealand Red Cross. The celebration was planned in order to showcase Colombian culture and thank the community for welcoming them with open arms. “We wanted to show that Colombian people have a whole culture and that we’re committed to New Zealand with visions and plans for our lives here,” says Yonson Escue, President of the local Colombian Association. 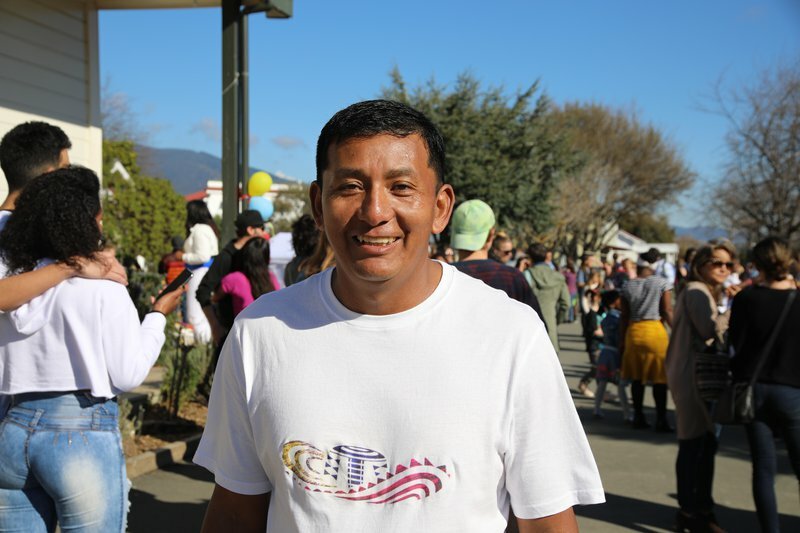 Nelson first started settling former refugees from Colombia in December 2016 and since then over 120 people from the South American country have arrived. This has been the community’s first event and everyone pitched in to help pull off a big celebration. Yonson Escue, President of the local Colombian Association. Delicious food was on offer with crowds enjoying empanadas, tamales, arepas and delicious Colombian sweet treats. People devoured the traditional dishes while watching dance performances and football displays under a bright and sunny sky. The local Red Cross Disaster Welfare and Support Team was also present, providing first aid and extra volunteer support to make sure the day ran smoothly. Check out more photos from the event here. Our Refugee Support Volunteers play an important role in our refugee resettlement programmes. If you’d like to be part of the team and support former refugees as they build a new life in New Zealand, you can find out more about the programme here.